The BRUTE winch mount is the strongest winch carrier on the market! 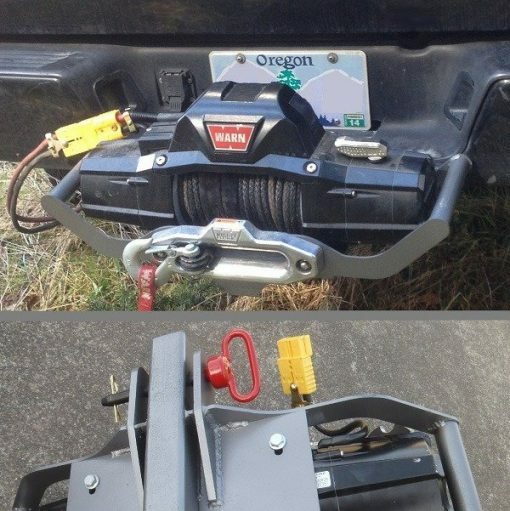 This mount allows you to easily mount your winch in any 2″ hitch receiver. 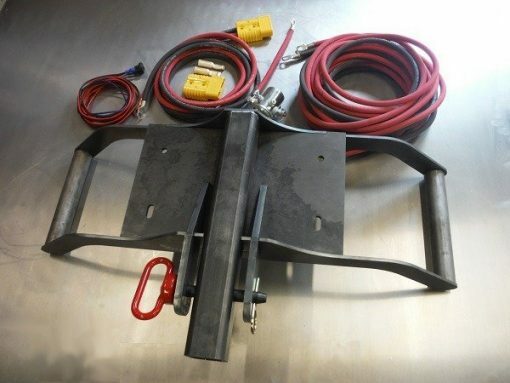 With stout 3/8″ side load bars, this mount can easily handle a 5000 lb side load. 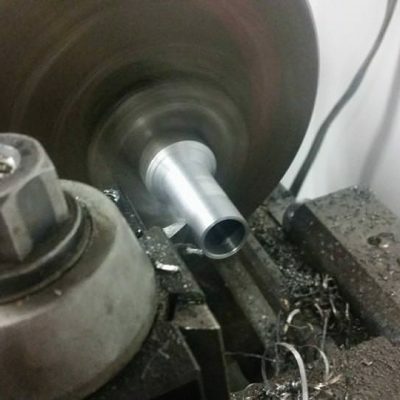 Ships as a raw steel kit if you chose the weld together kit (it has slots for super easy alignment). We also offer it welded and powder coated. 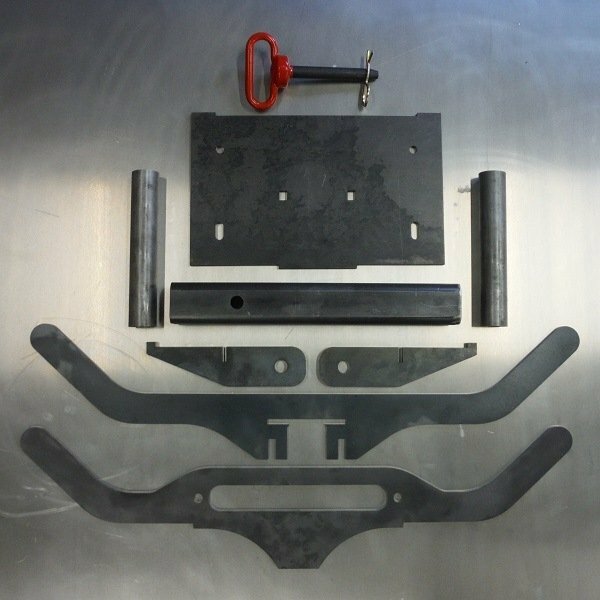 Why trust your recovery to a puny 3/16″ base plate like our competitor’s use? 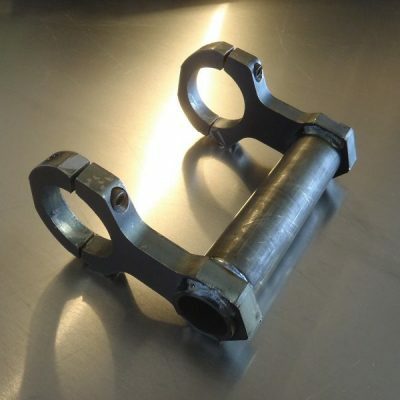 Even some winch manufacturers require 1/4″ in their mounting instructions, yet they sell mounts with 3/16″ plates! No corners are cut here, these mounts are the real deal. 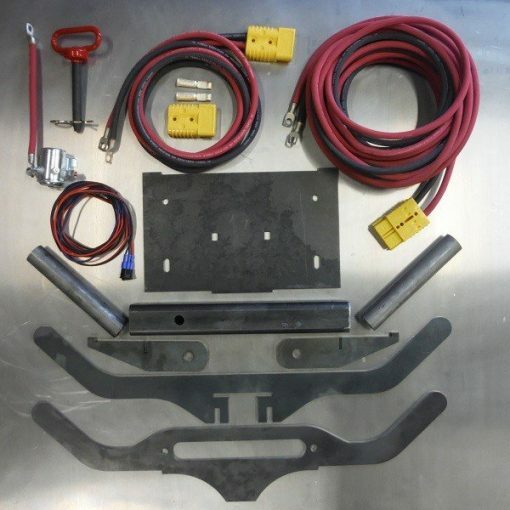 The front and rear wiring includes enough 2AWG copper (NOT ALUMINUM) wire to take both power leads to your battery from the front and rear bumper on any vehicle, including your quad cab longbed one ton. Includes 3 Anderson connectors and terminal connections. Ships as components, you will be crimping the terminals once you cut the cable to exact lengths you want. We can prep the whole thing for bolt in installation and provide a wiring diagram for those who would like us to. E mail or call for details please. The wire in this kit is 100% MADE IN USA welding power lead grade cable. This is 100% pure copper, ultra fine strand (better than the coarse stuff), and is very flexible. Welding cable is meant to have foot traffic on it, so the jacket on this cable is more oil and abrasion resistant than OEM automotive battery cables. This is the very best, just like you would expect from Rogue! Winch and fairlead are shown for example only, not included.